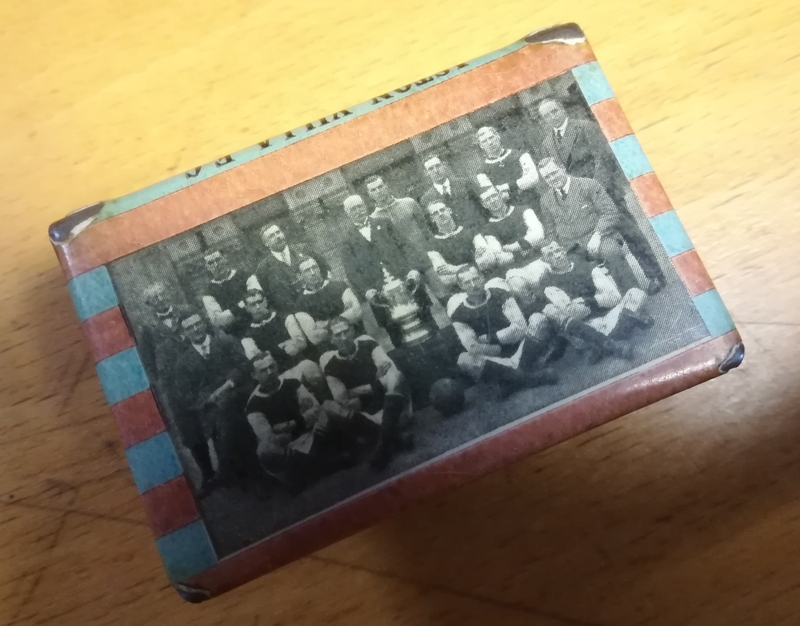 These match box covers come fixture lists were very popular among working class supporters in the 1920s, and we have a number of examples in the collection. 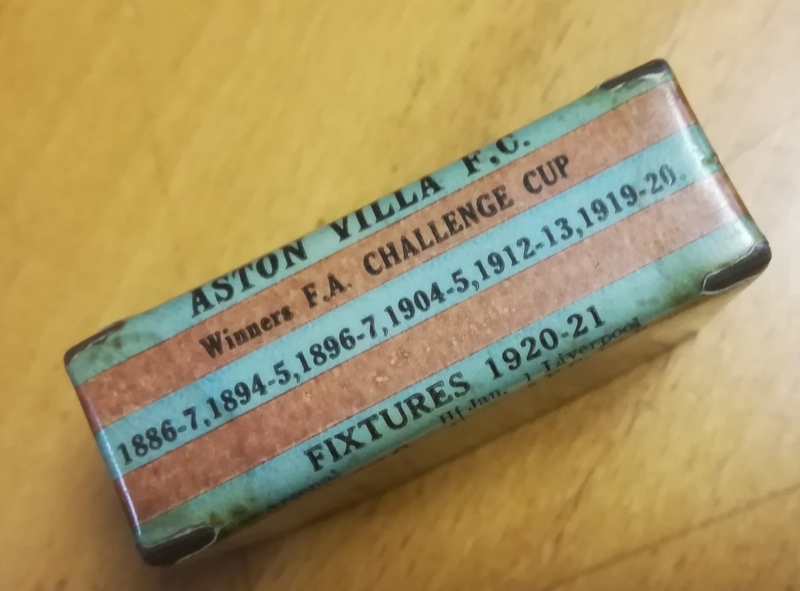 This particular example features the 1920/21 Aston Villa squad, with a full list of their fixtures on the reverse side. Aston Villa finished 10th that season in the top flight, sandwiched between Arsenal and Blackburn Rovers.